Jacki Eiting and Sarah Stern, members of Winona State University’s Food and Nutrition club, joined forces with Janet Macon, a registered dietician for the HERS Department, to inform students about the different branches of vegetarianism through, “Meatless on Monday,” a presentation on Sept. 2 as a part of Winona State’s Wellness Wednesday. The program began with a quiz on how familiar attendants were with the different branches of vegetarianism, and which are the most and least restrictive. The most restrictive was fruitarian, a diet where one only eat what falls from a plant, or what can be harvested from the plant without destroying the plant. The least restrictive was flexitarian, a plant-based diet where one can occasionally consume meat. The presentation also went over reasons why to go vegetarian, which included a reduced risk of obesity, increased feelings of fullness, lower BMI (body mass index), lower rates of diabetes, decreased risk of heart disease and lower blood pressure. 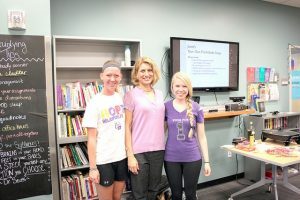 The presenters spoke about the myth that vegetarians don’t get enough protein, which they proved false, listing milk, eggs, peanut butter, kidney beans, cottage cheese, Greek yogurt, almonds and veggie burgers as all good sources of protein. Another myth they addressed was that being a vegetarian is too expensive. “It is less expensive,” Macon said. She mentioned how the prices of milk and eggs are inexpensive compared to buying meat. Samples of veggie burgers were offered at the presentation. The veggie burgers were from “Boca Essentials,” which included a patty made with roasted veggies and red quinoa, as well as “Boca Chik’n” which was a meatless patty that tasted like chicken. After giving out samples of the veggie burgers, the presenters tackled another myth: vegetarians are not satisfied. However, according to the presentation, vegetarians typically get more fiber in their diet, which leaves you satisfied longer. The average American diet includes only 16 grams of fiber, but most people need 25 grams. “Just add one more serving of plant-based food a day,” Macon said. “You will increase your fiber and do your body a whole lot of good.” Macon said. The presentation wrapped up with easy ideas for students to swap out meat for veggies and fruit on campus. The presenters suggested options like an omelet with veggies, pancakes with peanut butter and fruit, pizza with veggies, tacos with beans in place of meat and hummus as a dip for vegetables. 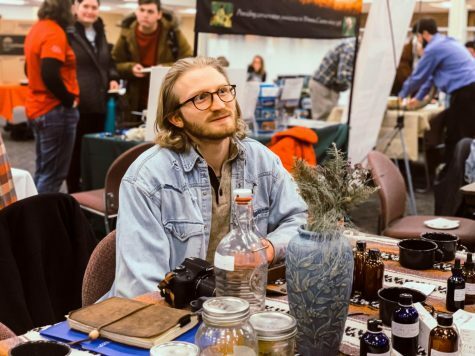 “It’s fun to experiment with different foods than we are used to,” Macon said. 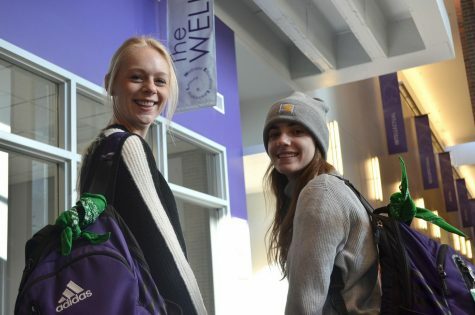 Students can attend more presentations like “Meatless on Mondays,” at Wellness Wednesdays, held every week in Room 138 at 3 p.m. in the Integrated Wellness Center.